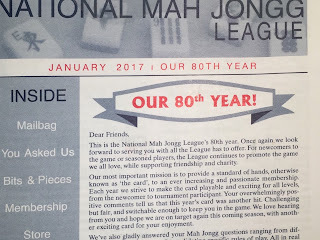 Year's end means one thing to a mahjongg player - time to receive the yearly bulletin from the League and to put in an order in for the new card and other necessaries, such as plastic holders and table covers. 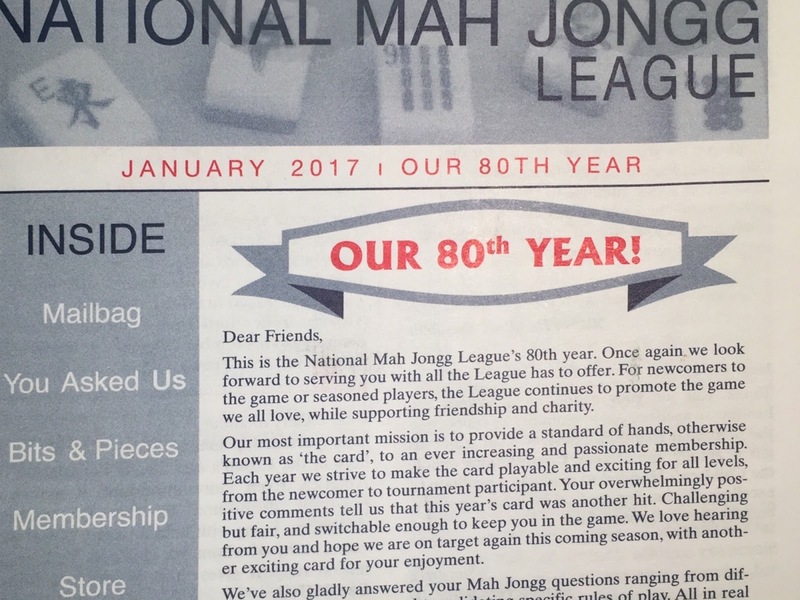 This year's bulletin heralds the League's 80th year, observed with pride by Lawrence (Larry) Unger, League President. In keeping with tradition, the bulletin is filled with testimonials of gratitude from charitable organizations and satisfied players from all walks of life along with a generous sampling of Q&As both general and specific to this year's card. The list of "Collectors" (those who send in 35 or more memberships) has grown considerably. And there is also a loving tribute to Ruth Unger, Past President, and Marilyn Starr, Past Secretary, reflecting on the core values of the League. Although they are no longer with us, be assured the League remains committed to crafting a card that is "challenging but fair". I would certainly agree that this year's card is challenging. Receiving the newsletter reminds me that the days of playing the 2016 card are waning and I must confess I haven't completed it as of yet. I know this because for the first time this year I marked off the hands I have made and it is eye-opening to see which ones remain unmarked. For some reason that I can only attribute to the aging process, it took me a long time to switch from 7 hands to 11 hands. I recently realized that 9 + 2 go together this year, as do 8 + 3, but I have only made half of the 11 hands so far. In the quints section, although I have made the first hand several times in previous years, this year it has remained out of reach. I have not yet made the new 1+6+7 hand. I know I am not alone in this, but, shame on me, I also haven't made the consecutive run quint. I have in the past made fun of people who only go for certain hands. I know one woman who exclusively plays the "big hand" no matter how far from it she is. Others shy away from closed hands. But the process of marking the card has confirmed what I have long suspected - I am odd-number averse. Yes, I have made all the pairs hands - even the "big hand" twice - but not the 13579. Of the 11 odd-number hands, I have only made six of them - in 1,000 games! I am sure someone can write a thesis on oddphobia and perhaps develop a pill to counteract it. If so, please contact me for a clinical trial. Marking the card has proven to be a wonderful exercise in self-discovery. And it has spurred me to make a New Year's resolution to broaden my horizons and beat the odds! Here is hoping my card will be filled with Xs before the new one comes along. Nothing says Spring like the arrival of the new card. Yes, it's here. It's been spotted in the northeast - Long Island, Queens, New Jersey and as far away as San Francisco. Texas, Ohio, and Venice, FL. If you haven't gotten yours today it will surely come soon. So let's not waste time. Those of you who have the card know what's inside. For those who don't have it, here's a breakdown of what's new and what's not. Copyright laws forbid a photographic representation, but if you use your imagination (or a few markers) you can figure it out. So get out your 2015 card and follow along. The categories remain the same, as do the number of hands in each category, except for like numbers. Some patterns have changed from pung, kong, pung, kong to pung, pung, kong, kong. Some patterns have changed from pair, pung, kong, pung, pair to pair pair pung pung kong. Forget 2015! Sixes now rule the roost! The first hand changes - take out the EW and put in the 2016. Add two flowers and you have the new hand. Flip that around, so instead of Norths and Souths with 2016 in the middle, use Easts and Wests with 2016 in the middle and you have the new second hand in the category. Cute! 2015 with 1's and 5's is out. 2015 between two kongs of dragons is out as well. Change the 15 at the end of four flowers, four twos, four soaps to 16 and you have the fourth hand in 2016 on the new card. Change the pung of fives to a pung of sixes in the last (closed) hand and you have the new last closed hand in 2016. To replace the lost dragon hand, a new third hand in the category is added: A little tricky but interesting... pung of two's, pung of soaps, kong of one's, kong of sixes - any three suits. Think about that one for a bit. Some tweaks to old friends. Change the first hand to kong of flowers, pair of twos pair of fours, pung of sixes and pung of eights. Second hand pattern changes to pung, pung, kong, kong. Hand with pairs of fours and sixes in the middle is out, replaced by a new interesting hand, similar to the pair of eights hand - kong of twos, kong of fours, kong of sixes pair of eights - all one suit. Closed hand replaced by: Pair of flowers, pung of twos with pung matching dragons; pung of eights with pung matching dragons (any two suits), closed, value 30. The like numbers hand has gone back to four flowers with two kongs and a pair of like numbers. A little easier hand to make, IMHO. But added hand like numbers with dragons: pair, pair, pung, pung, kong. Closed! 30. Seven has now become eleven. No sixes in this batch. It's 2+9, 8+3 and 7+4. First hand gone. Old favorite second hand remains. New quint consecutive run, any three consecutive numbers: Quint-kong-quint in 1 suit or 3. Any wind, any dragon, any number is now kong of flowers, quint of wind, quint of number. Last hand new - Two flowers, quint of ones, pair of sixes, quint of sevens. One suit or three. The classic first hand is now pair, pair, pung, pung, kong. Flowers 1-2-3 is gone. After a good, long run, 1-2 dragon is gone! Will miss that one. The "knitted" hand with middle number matching dragon is now pung, kong, pung, kong. 1-2-3-4 is now pung, pung, kong, kong. Replacing 1-2 dragon is...one-two/one-two/three! pair/pair/pung/pung/kong. Yay! The closed hand is a new one to me: Pair of flowers, pungs of any four consecutive numbers. Classic hand is now pair, pair, pung, pung, kong. 1-3-3-5 and 5-7-7-9 is now pung, pung, kong, kong. Pairs of one/three/five has been replaced by: kong of ones, pairs of 3/5/7, kong of 9. Two suits. Flowers 1-3-5 and Flowers 5-7-9 remain. Old favorite: 11 333 DDDD 333 55 (3 suits) and 55 777 DDDD 777 99 are back! and closed hand two flowers, pungs of 1/3/5/D or 5/7/9/D in one suit. First hand is the same. Second hand remains as well. The hand with the six like numbers has changed. It is now similar to the like number with dragons hand. pair/pair pung/pung kong - either pair of north and pung of south with odd numbers in three suits or pair of east pung of west with even numbers in three suits. Closed! 30 points. To compensate for 2015 with kongs of dragons being removed, and with apologies to those who were hoping for NEWS - a little twist is added: kong of dragons/ NN EW SS/kong of dragons. Two suits, no flowers. Something for everybody - 30 point hand. And last but not least Flowers with Dragons remains. First hand gone. New hand is kong of flowers, single three, pair of sixes, pung of nines, kong of dragons, one suit. Second hand pattern changes. Now pung, pung, kong, kong. Third hand stays, as does fourth. For some inexplicable reason they have changed position. Forget all you know about singles and pairs. They have all changed with the exception of the "big" hand, which is now 2016. First hand is: pair of norths pairs of odds - 11 33 55 77 99 - pair of souths - one suit C50. Third hand: pair of flowers, pairs of any five consecutive numbers with pair of matching dragons. Fourth hand: The old pairs hand: FF 11 22 11 22 11 22, any two consecutive numbers in 3 suits. A new singles and pair added for some panache! FF 11 22 33 DD DD DD. Any three consecutive number in one suit, dragons in three suits. Closed 60 points. A tournament hand of the day for sure. In addition, a new line has been added to the back of the card: To claim a discard, the player must verbalize their call, letting the other players know that they are claiming that discard. They may say "call," "take," "I want that," etc. Do you hear that, my silent friends??????? So there you have Mrs. Unger's last gift to us. A card that brilliantly blends the challenge for the experienced player with accessibility for the new player and keeps us playing for another year. 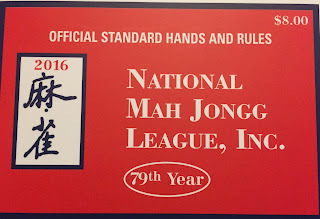 On Monday, Feburary 8, 2016, I had the honor of attending the annual meeting of the National Mah Jongg League. The meeting is open to all members of the League, although few take advantage of this opportunity. It was my first look at the new offices - and they were most impressive. Spacious and tidy, the layout provided room for a reception area, executive offices, conference room and a separate file room - or should I say tile room, as the League is known for the extensive tile matching collection. The walls were adorned with Asian art - including one of my favorites - The 8 Immortals Playing Mahjongg. They looked on as the League conducted the business at hand. It was a very poignant meeting, as it was the first annual meeting conducted without Mrs. Unger at the helm. Her sons, Larry and David, presided over the meeting, aided by board members Adela and Che, who acted as recording secretary. As acting president, it was up to Larry Unger to read the annual report, which he did, but not without emotion. Needless to say, the memory of Mrs. Unger loomed large in the room, and I heard the phrase "big shoes to fill" more than once. The move gave the Unger family the opportunity to dig through a substantial archive of League materials. There's a lot of history there that is of interest to us all! 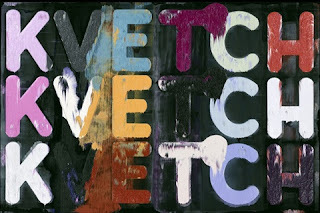 Ruth Unger was active until the very end - coming into the office two or three days a week, and was as deeply involved in creating the new card as she was in the past. February 1 was the last day for collectors to submit their orders for the new card. A collector is someone who places an order for new card for 35 people or more. The League will donate $2 from each order to a charity of the collector's choice. Collectors are individuals and organizations. They are listed in the newsletter along with the charities they select, and there are close to 1000 of them. Check out how far they've come! In relation to e-mails, I voiced the concern of my readers that they wanted the League to come out of the "dark ages" and use e-mail to communicate with members. I was told by Adela, who worked side-by-side with Mrs. Unger for over 25 years, that the League will continue its policy of answering members' questions and concerns by phone, and it is this personal communication that allows an organization with hundreds of thousands of members to remain in touch with their constituency. Their line is always open to the membership, which cannot be said of many organizations today. The League is a small organization with a very long reach. 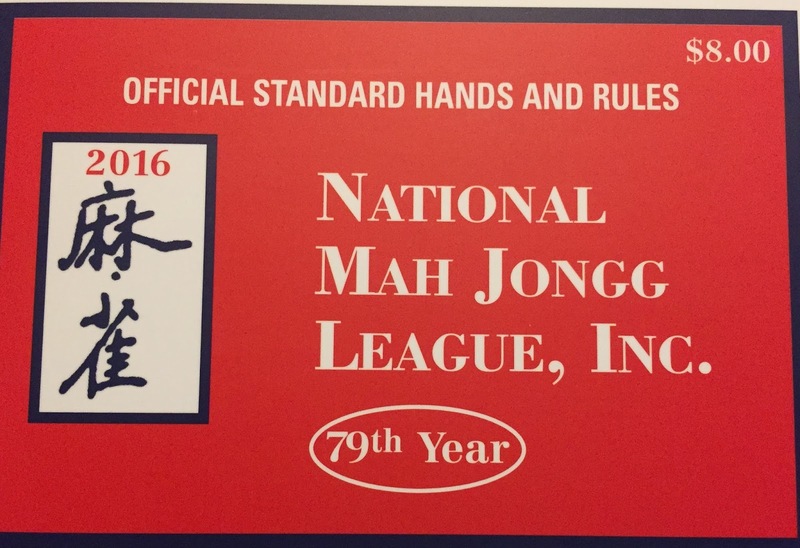 Their 79 years of donations have touched the lives of countless people; most of whom don't know what mahjongg is. Their business model, if you can call it that, is unique. We as members willingly buy the card and we get 365 days of pleasure out of an $8 purchase, plus the added benefit of contributing to worthy causes. We get a family of players all over the world and a rules set challenging enough to last through these many years. While there may be many tournaments, cards, sets and tchotchkes, the League is at the root of them all. It's a beautiful thing.